ORIENT PUBLICATION: PV Sindhu wins Sportsperson of the Year 2017! PV Sindhu wins Sportsperson of the Year 2017! Mumbai, 6th July, 2017: India’s renowned sports media brand, Sports Illustrated (SI) India Magazine concluded the sixth edition of ‘Maruti Suzuki Sportsperson of the Year’ Charity Gala Awards on 6th July, 2017 at ITC Grand Central, Parel, Mumbai. Sportsperson of the Year is the most coveted Sports Awards franchise globally, acknowledging the performances and sporting excellence of athletes and teams for their outstanding achievements. 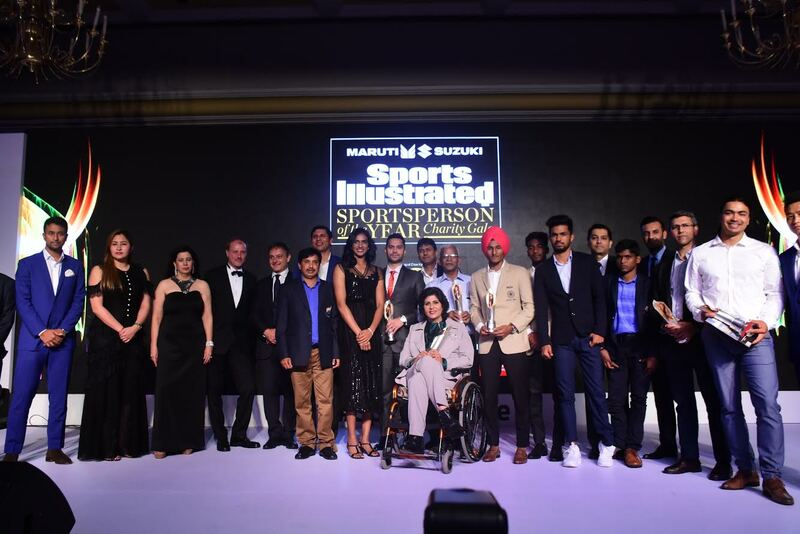 Sports Illustrated India has always honoured individuals and teams that have made an impact in the world of Indian sports. Keeping in mind the brand philosophy of promoting sports at grassroots level in India, this year’s gala was in association with Magic Bus—an award-winning NGO that steers children towards a better life with better awareness, better life skills, and better opportunities, in the journey from childhood to livelihood. The funds raised will be used towards the betterment of these under-privileged children. It was a star-studded evening where some of India’s sports icons such as P.V. Sindhu, Pullela Gopichand, KL Rahul, Abhinav Bindra, Deepa Mallik, Bhaichung Bhutia, Gaurav Gill and Shiva Keshavan were felicitated. Bollywood wasn’t left far behind as Richa Chaddha, Tapsee Pannu and Angad Bedi also graced the occasion. 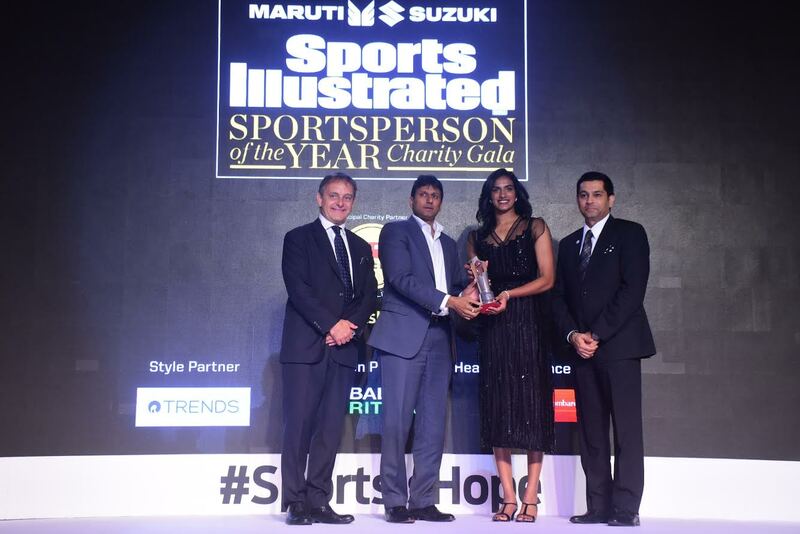 Vivek Pareek, Senior Publisher of Sports Illustrated India said, "The Maruti Suzuki Sports Illustrated Sportsperson of the Year Charity Gala is the perfect platform to recognize and celebrate performance in sports. We have consistently supported all sports in India and the diverse attendance is proof of that. Sports is not limited in appeal or reach, and it is in this diversity that it finds its strength. We will continue to fight for sports and support sportspersons." 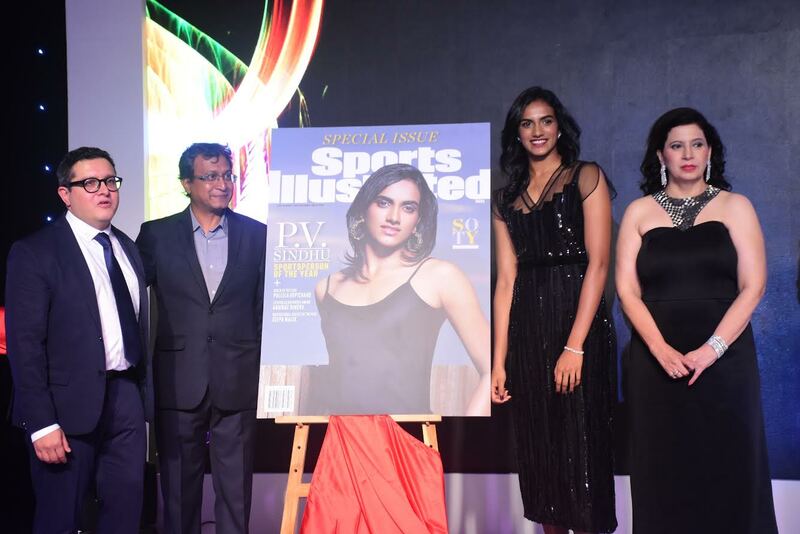 Vivek Mukherji, Editor of Sports Illustrated India, said, "Sports Illustrated has lived up to its commitment to sports and India's sportspersons again with this year's Awards. Our magazine's founding principles of integrity and fairness ensure that all sports find an equal voice. We're growing from strength to strength and we're very excited about the future of sports in India. We hope to continue playing a large part in it." Through this association, Sports Illustrated India aims to continue their journey and ensure sports is made accessible for all as well as for the welfare of upcoming athletes. Sports Illustrated India is the Indian iteration of the world-renowned sports media brand, which reaches more than 70 million sports fans every month. The magazine is celebrated for its captivating storytelling, path-breaking journalism and its ability to capture the passion and emotion of sports. Some of the biggest names in sports journalism are associated with Sports Illustrated India, and the magazine is respected for its insightful and dramatic coverage of events, stunning visual quality and its independent voice. It is the de facto arbiter of sporting status and a proponent of making sports accessible to every citizen of India. Sports Illustrated India connects with more than 1 million readers every month and is committed to enhancing the spirit of sports in India. An award-winning NGO, Magic Bus steers children towards a better life with better awareness, better life skills, and better opportunities, in the journey from childhood to livelihood. It's Activity Based Curriculum (ABC) is a learning model that uses sports to change attitudes and behaviours. Its Mentorship Programme trains local youth volunteers to be role models to children by delivering the learning model, allowing for awareness, opportunity and civil citizenship. Magic Bus is committed to uplifting the children of India, with more than 400,000 kids already having received its unique help. With extensive experience in senior positions in the corporate sector and an intuitive understanding of the needs of children and youth in India, Matthew established Magic Bus in 1999, and has helped the organisation grow from an informal, volunteer-led activity for disadvantaged children, into a leading NGO working in the area of mentoring some of India’s poorest young people from education to livelihood. Matthew has been elected an Ashoka Fellow, a TED Fellow and an Asia Centre for Social Entrepreneurship and Philanthropy (ACSEP) Fellow. In 2007, he was awarded an MBE for services to children in the Commonwealth.